Is There a Difference Between a Nolle Prosequi of Criminal Charges and Being Found Not Guilty? Yes. There is a big difference. The effect of a Nolle Prosequi is not the same as the effect of a not guilty verdict. What is a Nolle Prosequi? A Nolle Prosequi, the Latin term meaning, "be unwilling to pursue", is a formal motion or entry made on the record by the prosecutor in a criminal case that he will not prosecute the case further, but it does not prevent the charge from being brought up at a future time. The effect of the nolle prosequi, is to put the defendant without day. In some jurisdictions, after the nolle prosequie has been granted, you will hear the judge say to the defendant, "Go hence without day." It does not operate as an acquittal. Why would the prosecutor enter a Nolle Prosequi? The motion is often made because the prosecutor does not believe that he can prove the charges because the evidence is too weak to carry the burden of proof (beyond a reasonable doubt). This does not mean that the prosecutor believes the accused is not guilty, only that he cannot prove it. How Does a Not Guilty Verdict Differ From a Nolle Prosequi? "We the jury find the defendant not guilty of_____...."
Once a jury has returned a verdict of "not guilty" the person standing trial is free to go and all charges pertaining to that trial are forever dismissed. The 5th amendment of the U.S. Constitution provides, "No person shall...be subject for the same offence to be twice put in jeopardy of life or limb." 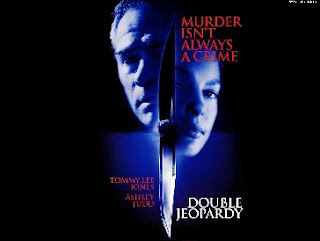 This provision is known as The Double Jeopardy Clause. A number of high profile cases in the last year have shaken the average citizen's core belief in the judicial system, none more so than the case of the State of Florida verses Casey Anthony. This compels me to point out that a jury does not find a defendant innocent. That is not their job, nor is it within their power. The jury has only two options in most cases (in some cases they have the option of returning what is called a "lesser or responsive verdict"-still a guilty verdict). A not guilty verdict can mean that the jury truly believes that the defendant is not guilty of the crime for which he is charged. The jury can believe that the person charged, did, in fact, not commit the crime for which he stands accused of. It can, of course, mean something entirely different. A verdict of not guilty can mean "not proven" as in the prosecutor has failed to meet the burden of proving the defendant guilty, beyond a reasonable doubt. Even in cases where the jury is sure that the defendant is guilty, but the state has failed to prove it beyond a reasonable doubt, then by law it is their sworn duty to return a verdict of "not guilty". The jury's job has absolutely nothing to do with the concept of innocence. 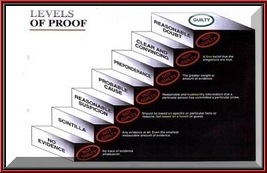 The sole purpose of a jury in a criminal trial is to weigh and analyze the evidence (or lack of evidence) that the state has presented and determine whether or not it is enough to satisfy the very high burden of "proof beyond a reasonable doubt". 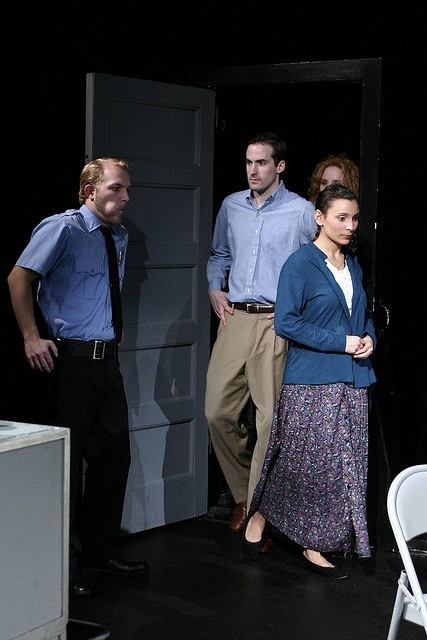 I believe this is concept that so many horrified spectators had with the jury's verdict in the Casey Anthony trial. I watched the trial on television. There was no way I could watch every single minute of it so I, like so many others, did not view the trial in the same way that the jury did. The public, including me, had the added commentary of the talk shows and other media hype. We saw evidence on television and on the Internet that was inadmissible and therefore not presented to the jury. I felt certain that Casey Anthony was guilty-of something. Was it first degree murder? I don't know. Did she intentionally plan to kill her baby and carry out that plan? I don't think that is what happened, but remember, I don't know all of the facts of the case. In my opinion (and that is all it is and it is worth nothing here), I think that Casey Anthony sedated her child so she could go out and party and her child died as a result. Is this criminal behavior- hell yes. Should she have been held accountable and punished? Hell Yes-if the state of Florida proved it beyond a reasonable doubt. I remember telling my family that she would be found not guilty. They were irate, they acted as if I had just told them I believed she was innocent. We were talking about two completely different concepts. I believed that the state would not be able to proved beyond a reasonable doubt that Casey Anthony murdered her child. One of the reasons for the lack of evidence was the badly decomposed body and the amount of time that lapsed between the death and the discovery of the body. Enough about Casey Anthony-I could write a mini series on what I think about that case. I share in the outrage of so many that she was allowed to go free, but like it or not-our judicial system worked that day. If it is to ever work for an innocent person (yes, there are cases of people who are wrongfully accused) then it must also work for a guilty person. Regardless of how much we want someone to pay for the crime we believe they committed, we must hold the government to their burden or our system would never work. "Each time a member of the media or other citizen states that William Kennedy Smith or one of the officers accused of beating Rodney King was found "innocent," they are not only incorrect, but are also ingraining within potential jurors a misconception about their role. They enhance the risk that enough jurors on a panel will retire into a jury room believing that it is their task to determine whether there is enough evidence to find a defendant innocent." Attorney, Hugh Duvall, has an excellent and informative article explaining the difference between not guilty and innocent on his website. Criminal trials should not be equated with a search for the truth. They are merely a process for testing the evidence. Can the state prove the charges against the defendant beyond a reasonable doubt? "Not guilty means nothing more than making the prosecutor prove his case. To assign any other meaning would turn the system on its head." Visit the Waco Criminal Law Blog, or more information on "What Does Not Guilty Really Mean". 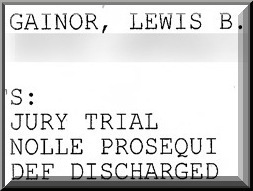 Nolle Prosequie~ we don't think we have enough evidence to win our case at trial and we don't want to chance it because if we lose at trial and the jury returns a not guilty verdict then we are prohibited from ever bringing charges against you in the future-even if new evidence comes to light that conclusively shows that you are guilty. With a nolle prosequi, we reserve the right to bring these charges against you in the future. Not Guilty~ game over, defendant goes free. Visit the official 2012 A to Z Challenge sign up list, for links to all of the bloggers participating. Do you have your 2012 A to Z blogging challenge navigation button? VERY interesting. Here's one that always bugs me...someone is not guilty by reason of insanity. I think it should be - guilty by reason of insanity. No amount of arguing with my attorney daughter and her attorney husband can make me think differently. What say you? Melissa, I love your blog. Again, without your irate comment on my site I may never have found you...very butterfly effect. I think this is an excellent topic. I I learned a good deal in reading it (twice). I too knew Casey Anthony would be found not guilty and all the women in my office were really pissed that I was saying that day after day. But that's how it turned out. I say karma has her on its final destination list...mark my words. Because I agree...she did something. Thanks! Well done Melissa. I think many are unsure of the difference between nolle prosequi and not guilty. Glad you are out there educating. Really interesting stuff. WRT Nolle prosequi, what does "go hence without day" mean? Interesting and informative, even if the results sometimes seem a little sad. How interesting! I've always wondered this :) Thanks for clearing it up!